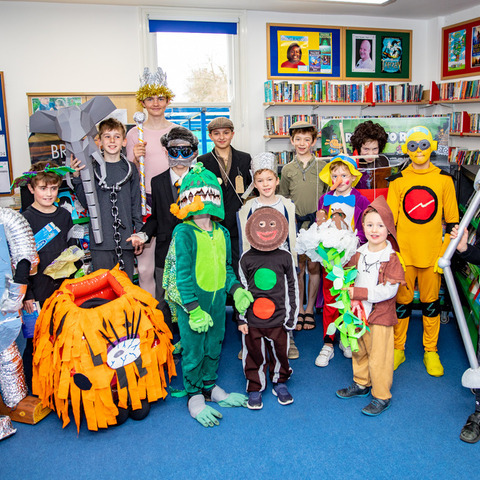 World Book Week has once again been a highlight of the term for Moulsford boys and staff alike. 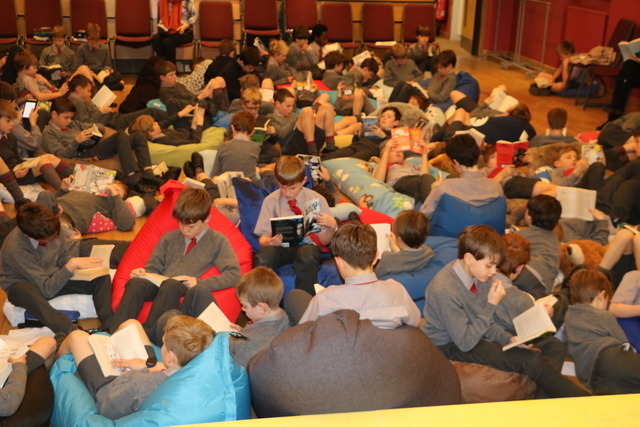 The Big Read - The ever-popular Big Read took place in the theatre on Monday, with the Year 7 Play set providing a gorgeous backdrop to the boys’ relaxed poses on beanbags, cushions and a fair few cuddly animals! It was lovely for the staff to be able to enjoy spending some time quietly reading with the boys too. 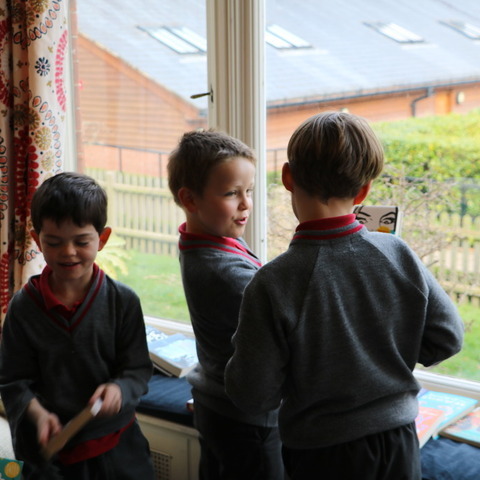 Book Swap - Much excitement was had at the lower end of the school as boys brought in a book to swap. The boys were able to talk to their peers about their book choice and it was great to see them discussing issues like why a book about dinosaurs was better than a story book. Lots of boys obviously got a real buzz from bringing in a book and discovering that someone else had chosen it to take away. The Great “Who Am I” Competition - Members of staff really entered into the spirit of things here with 25 photos of staff as children/babies along with an indication of their favourite childhood book stuck up around the school with boys invited to guess who they are. 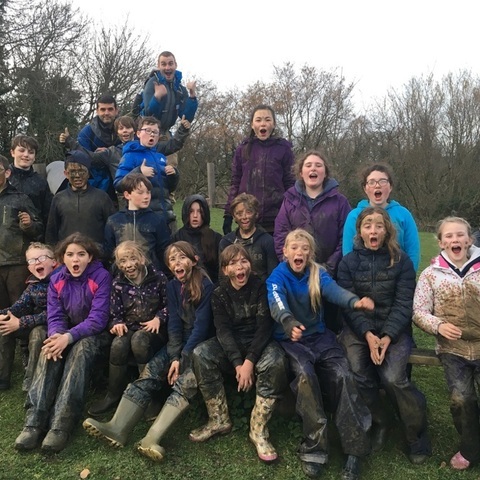 There have been marauding groups of boys trekking around the school at break time begging staff members for clues or trying to trick them into giving away vital information. Well done to Harvey C and Bertie W in year 5 who got the most correct answers. 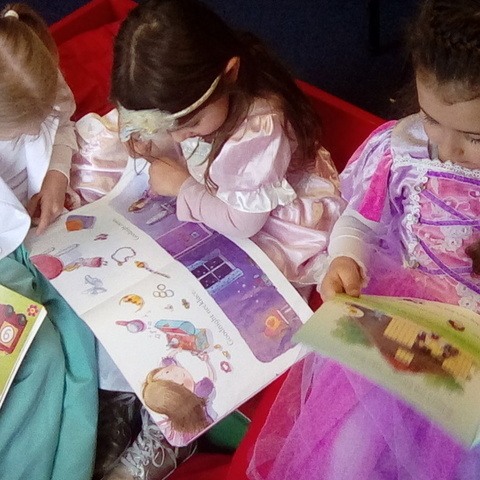 Reading in Pre-Prep - Each lunchtime, our staff read to our Pre-Prep boys and some of our Pre-Prep Dads came in at the end of the day to read – the boys loved hearing all these stories, thank you to everyone who came in and read to them. Red Heart Theatre - Hour-long one-man theatre performances might not sound like everyone’s cup of tea, but once again, Red Heart Theatre’s productions of ‘Wilfred Owen’s Pocket Book’ to Year Eight and ‘Gothic Tales’ to Year Seven proved gripping and entertaining in equal measure. 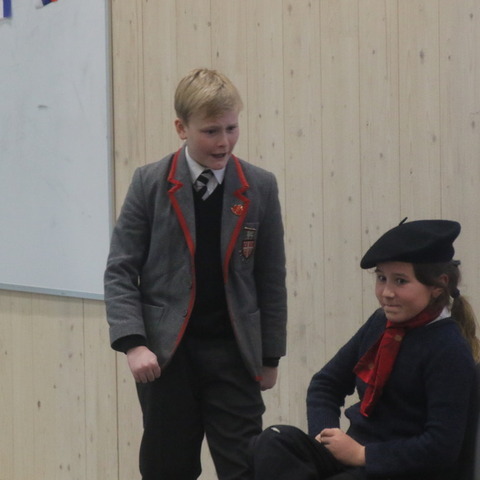 These performances tie in perfectly with the boys’ studies in English this term and helped to bring to life the words that they had previously encountered on the page. Whether it was listening to ‘Dulce et Decorum Est’ while gunfire echoed around the theatre, or seeing the growing panic of our narrator in ‘The Red Room’ as the candles in his room were slowly extinguished, the images conjured in such an intimate space were truly memorable. Overall this was a lovely counterpoint to the whole-school theme of Mr Men and should serve to remind the boys of the depth and breadth of reading possibilities which lie before them! Bananagrams - On Wednesday, the Bananagrams finals took place for boys in Years 3 to 6. There were some incredibly competitive matches but the eventual winners were Theo H in Year 3, Benji M in Year 4, Daniel G in Year 5 and Harry T in Year 6. Well done boys! Poetry Slam - On Thursday the beats and rhymes of the Year 7 and 8 Poetry Slam could be heard in the theatre. The boys of 8M, Jackson A, Nico VdM and Lachlan A won with their outstanding rap about Mr Men and debt! 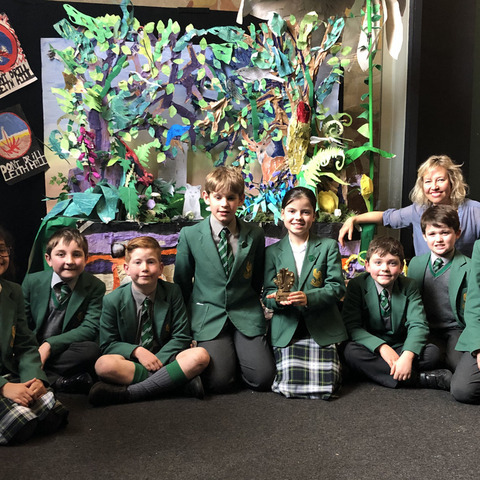 Pre-Prep Author Visit: Captivating talk about Pixies - On Friday, Pre-Prep were lucky enough to have the local author, Michael Woodward, come in to talk to us about his new book, ‘Peter Pixie Visits the Rescue Centre’. The boys loved hearing about Peter Pixie and his adventures in the woods. Michael read us an extract of the book explaining about all the characters. 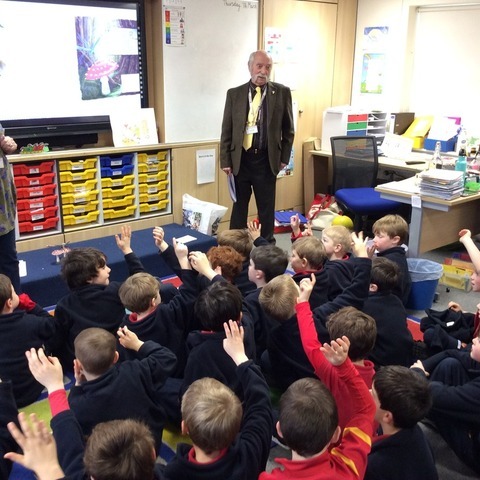 The boys were captivated – what a wonderful way to bring World Book Week to a close.